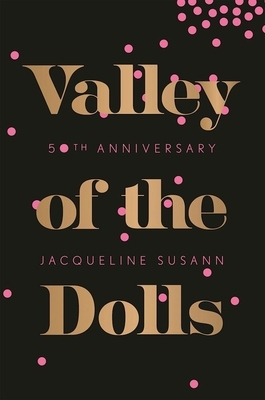 The perfect gift for any Valley fan or your favorite Doll, featuring a new cover design - introduction by Simon Doonan - never-before-seen archival material - an essay from Jackie, "My Book Is Not Dirty "
At a time when women were destined to become housewives, Jacqueline Susann let us dream. Anne, Neely, and Jennifer become best friends as struggling young women in New York City trying to make their mark. Eventually, they climb their way to the top of the entertainment industry only to find that there's no place left to go but down, into the Valley of the Dolls. Jacqueline Susann is a legend in American publishing. Her debut novel, Valley of the Dolls, published in 1966, has sold over 31 million copies in thirty languages. Susann was the first author to have three consecutive #1 books on the New York Times bestseller list. She was married to her beloved husband, producer Irving Mansfield, until her untimely death on September 21, 1974, after a courageously fought battle with breast cancer. Susann's intensely private twelve-year fight to overcome the disease was not known publicly until after her death. She was fifty-six.